This is just a list of what tires have been used. If you want/need specific information, go to the car tire message board for that please. Location: lake park , Ga. Doesn't matter make or model. If you are going to try and switch to a wider tire or a little taller tire then you have now , and want to see if it will fit without mods try this. Buy some kids modeling clay (dollar-tree $1.). Roll out a 1" thick (hotdog shape) piece , about 12 " long and press it to your tire from rim to rim, tape if necessary. Get on your bike, and your wife on the back and roll the bike back and forth , make sure you don't run over the clay. Then get off the bike and look where the clay is dented or scraped and measure the height from the tire to the thinnest part of the clay. Again both of you get back on and roll the bike so the clay is at the point of closest contact and jump up and down. 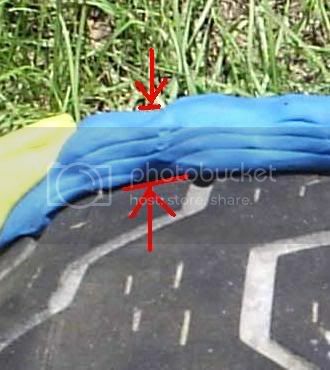 Then check again to see if the clay is distorted and measure the height from the tire to the thinnest part of the clay. 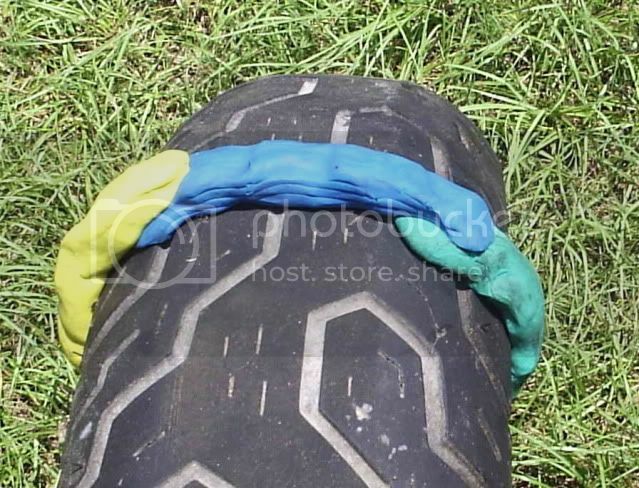 Lets say that you have 25"tall tire and the dent on the clay is at the top of the tire and is just over 1/2" thick, and you double it (top and bottom) and you now can go 1" taller , or a 26" tall tire. But if you have a tire 6"wide and the dent is on the one side and is 3/4", and no dent on the other side,, you now can go to a tire just a little smaller then 7.5" wide. I know these are not very good examples but you can get the idea of how to find your max tire measurement. May the Horse be with you young Flywalker. Crack the axle nut with a 27mm. box-end wrench while the bike and tire is on the ground. Lift the bike on a stand and place a few 2x4 supports under the front tire, to keep the bike front from see-sawing once you pull the rear tire. Place an MC lift (or other support) under the rear tire so that you can move the rear tire slightly up and down to work the axle out. Loosen and tie-up the rear brake caliper so that it is out of the way and does not add undue stress on the brake-line. To undo the axle, it is best to place a 12 mm hex on the drive side to unscrew the nut. Then use a small broom handle or round to push the axle through. The spacer is uniform so it goes back either way. Move the supports out from under the wheel as you let it slide straight down and out from the left side. It will come free from the shaft drive which is closed and will not leak oil. Replacing the new tire is relatively the same procedure, backwards. Be sure to check the directional arrow on the tire to be sure you are facing the correct side forward. Be careful that you do not damage the rotor while transporting the wheel or, better yet, remove the rotor so that it does not get bent during the tire change. You might also wish to place a soda bottle cap (should fit in snugly, backwards) into the axle hole to keep debris from getting in. Lastly, you may wish to check the flange bearings while you have the rear tire off. I came across this video on facebook. I may throw a bag of those in my bags, just in case. WOW!! Cool, thanks..... Me Likey!!! I really appreciate good old fashioned ingenuity and creativity. 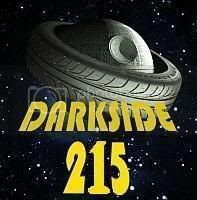 I'd be interested to see if it would work on a rear tire for the 1300. I tried it but couldn't get the sidewall to compress anywhere near enough to get the tire off. His tire looks like a lower profile. I even tried using more zip ties but no go. Didn't try a front tire. It doesn't work real good on a car tire, I tried it late last year. I just use the 'ol tire spoons to take them off. Once the wheel/tire lays in the sun for a bit and warms up. three spoons, a little lube and good old pressure they pop right off. Same for mounting except a whole lot more lube.